I'm noticing a theme here! Lizbeth from Dip It In Chocolate made cute teacher gift. 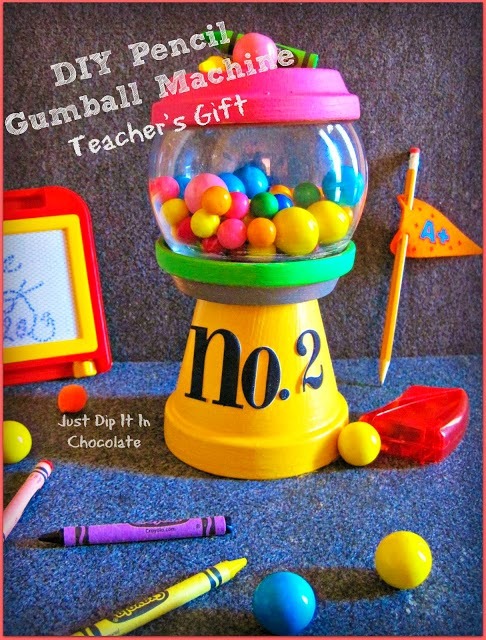 What teacher wouldn't like to receive this cute gumball machine? Violet's Buds made an upcycled hair bow frame. Great way to keep girls' barrettes organized and looks pretty, too! 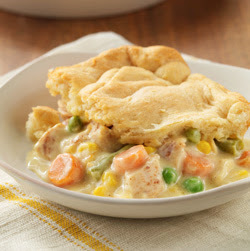 Paula at Beauty Through Imperfection made home-style chicken pot pie. Oh my! That looks good! 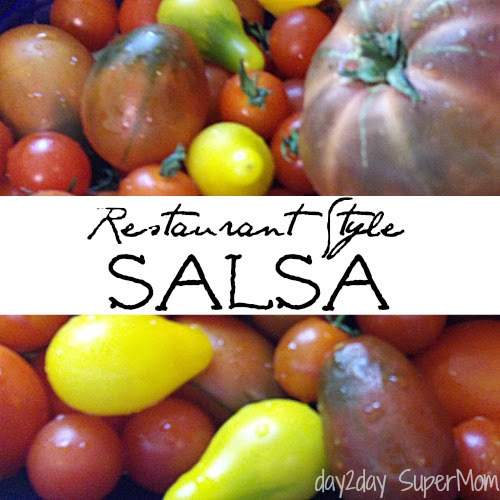 Marcy at Day 2 Day Super Mom shared a recipe for making and canning homemade salsa. Great way for using up all those tomatoes from the garden. Judy from Pursuit of A Functional Home made baked empanadas. 1. Link up something YOU made - it can be a craft, recipe, or project as long as YOU did it. (No giveaways, contests, or link parties please). 2. 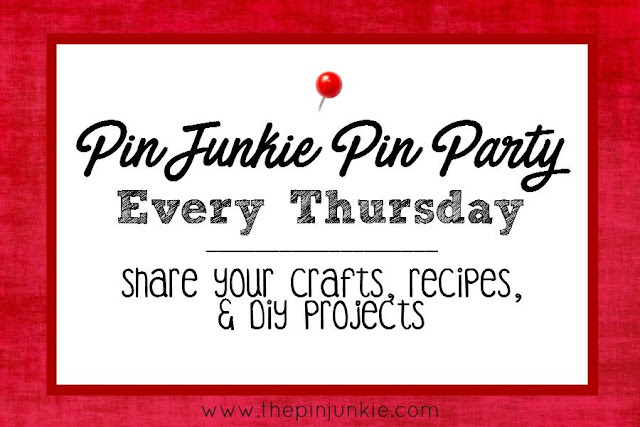 Follow The Pin Junkie on Pinterest, GFC, or Facebook. 4. Show some love by checking out some of the other links and HAVE FUN! 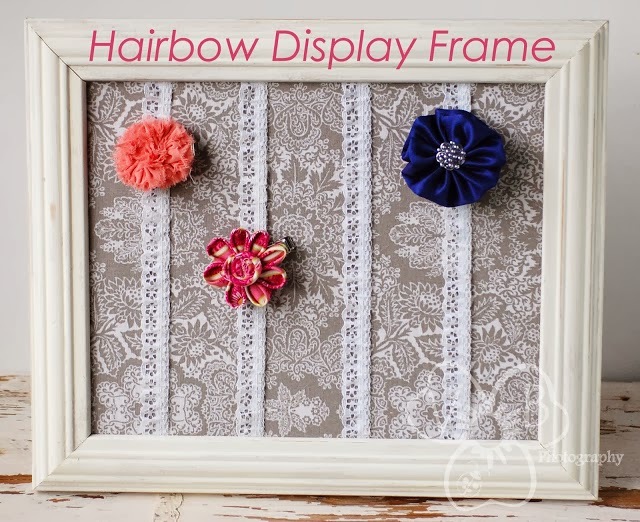 Thank you so much for featuring my hairbow display frame! You're welcome Melanie. 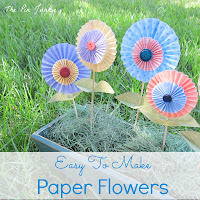 It's a cute a useful project! Thanks for sharing it at the party! Thanks for hosting! Let the weekend BEGIN! Thanks for hosting. It looks like there are lots of great ideas at the party. You're welcome Marcy! Your salsa looks really yummy! Thanks for sharing it at the party! You're welcome Judy! 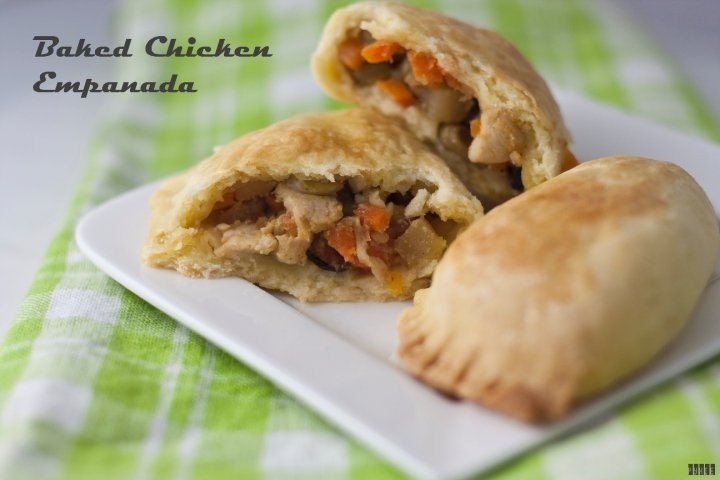 I've heard of empanadas, but have never actually tried one. Yours look delicious and I want to taste one more than ever now! Thanks so much for sharing them at the the party! Thanks a lot for hosting.I brought my ever dependable No Bake Cookie.Have a great weekend. Hi Bonnie, I'm Cindy from Glassslipperrestorations.com This is my first visit to your party, I'm sharing my Toybox I made from Pallets #173, hope you will stop by for a visit.This looks like a fun place to party! 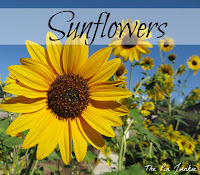 Thanks so much for hosting, have a wonderful week!